It was a sad day when Lily Allen said she was leaving the music scene, as who was going to provide that honest view of the industry. So it was a massive welcome back when she released her controversial comeback single Hard Out Here, which went platinum in Australia and has amassed over 22 million YouTube views. Since emerging in 2006 with her iconic debut single Smile, Lily has gone on to sell over five million albums worldwide. Her first album Alright, Still debuted at #7 in Australia and is certified platinum. Second album, It's Not Me, It's You debuted at #1 in Australia and is 4 x platinum. Lily has sold over one million singles in Australia. Her talent as a songwriter was acknowledged in 2010 when she won 3 Ivor Novello Awards; that same year she announced she was taking a break from making and performing music. In 2013 Lily returned to the studio, having spent the previous three years raising her young family and establishing her own record label. Now the amazing Lily Allen is set to release her third studio album Sheezus on Regal Recordings on Friday 2 May. Lily’s new album was produced by Greg Kurstin, except for the title track which was produced by DJ Dahi and Air Balloon which was produced by Shellback. 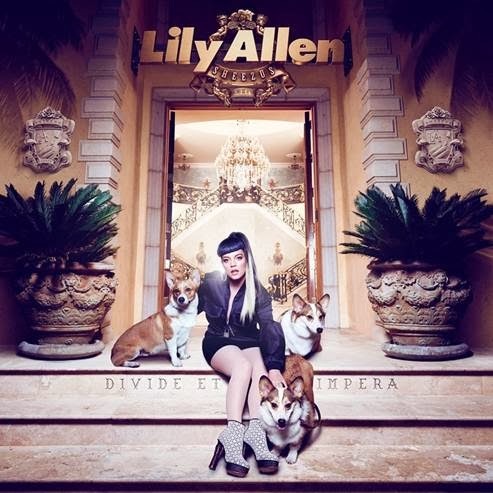 And you can’t help but be excited when John Niven decribes the new album like this… “When you listen to Lily Allen’s new album ‘Sheezus’ it sounds like a decade of experience, heartbreak, joy, mischief, pain, trouble and fun; the whole of your twenties wrapped up in sleek, brilliant pop music”. Sheezus is available on iTunes pre-order now..!